Cinder block construction with concrete floors. 3 large rooms with an office area. Has 2 roll up doors. Heated with propane. 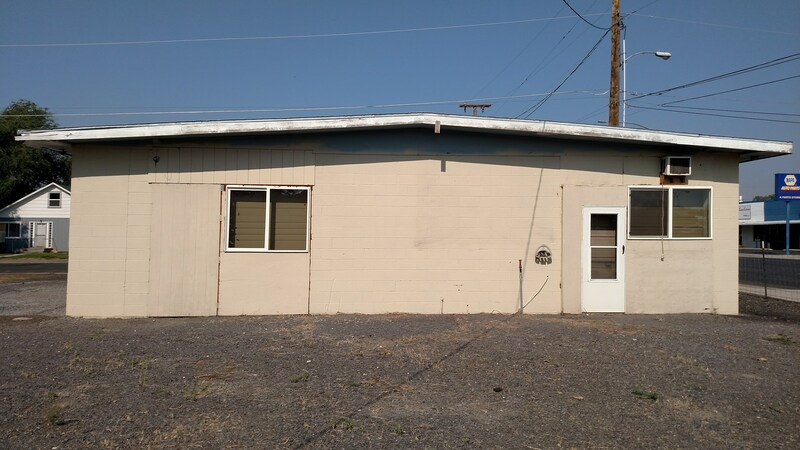 Great location, good size corner lot on Hwy 20 & S. Diamond. Plenty of off street parking. Zoned commercial.